I ended up coming to Gottsui when I was scared off by the line coming out of the ramen place down the block. 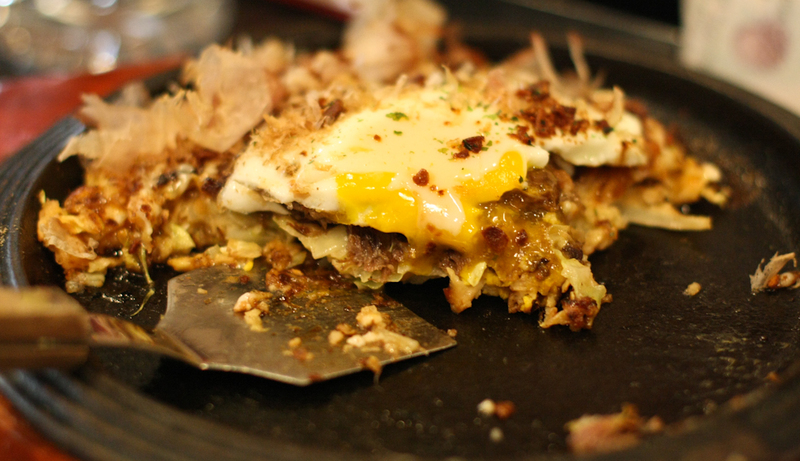 Japanese savory pancakes topped with stuff. While the menu only listed three ingredients, it was also covered in dried Bonito shavings. Sounded innocuous to me, I had totally forgotten what “Bonito” even was. 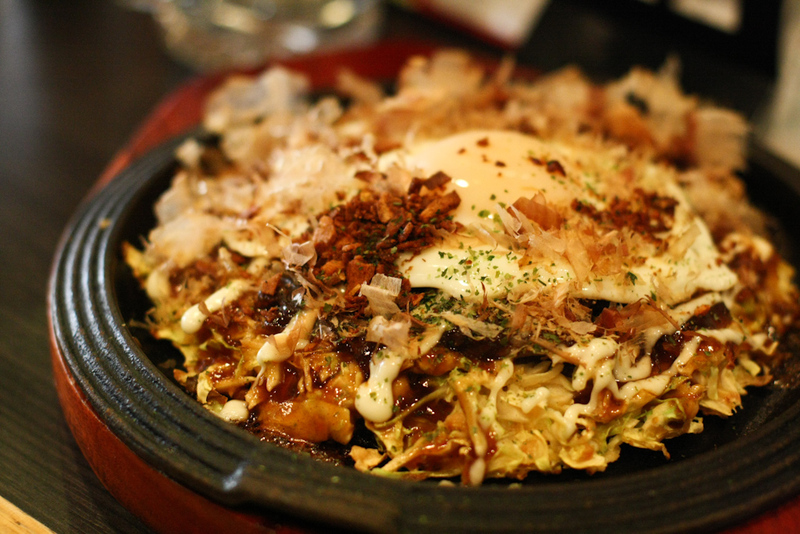 When the sizzling, round platter was placed in front of me, these shavings began to writhe eerily. Like possessed skin flakes! It was a little off-putting. They literally never stopped. Then I suddenly realized that “Bonito” was fish. I’m not really into mixing seafood and beef flavors to be honest. Plus, the skin flakes were creeping me out. 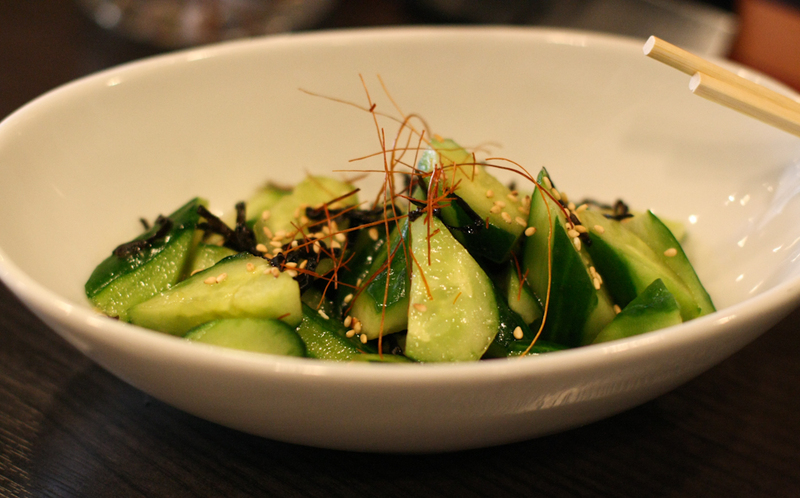 As much as I adore every Asian cuisine, I realize fully that I have not been exposed to a multitude of popular dishes. Especially ones featuring shellfish, which I cannot eat. I started to dig right into the molten madness with my chopsticks (much to my burning tongue’s protests) when the waiter showed me the mini shovels which you take portions of food from the hot plate to another, colder plate. Like a civilized human being. This was delicious!! So unique and so flavorful! I ate every drop. And begrudingly learned something in the process. Eventually I was informed this "shovel" was to be utilized.